Check out this golf event by the Burwell Rotary Club. Haven’t signed up yet? No worries, sign up at the race site! We’re almost there. Almost ready to Mud & Fun Adventure Run. You are not too late to register. I’ll be taking registrations at 710 7th Street in St Paul on Friday July 11th from 5-8 p.m. OR you can wait and register on Saturday morning beginning at 7:00 a.m. at the race site (near 1320 Hardy Rd). The race will begin rain or shine promptly at 8:00 a.m. The registration fee is $38.00 and you will receive a t-shirt for participating. However, you will receive the t-shirt late, as I have to put in a second order for the shirts. Here it is! The entry form for this years Mud & Fun Adventure Run during GCA Days 2014. Yes…We will be running again! 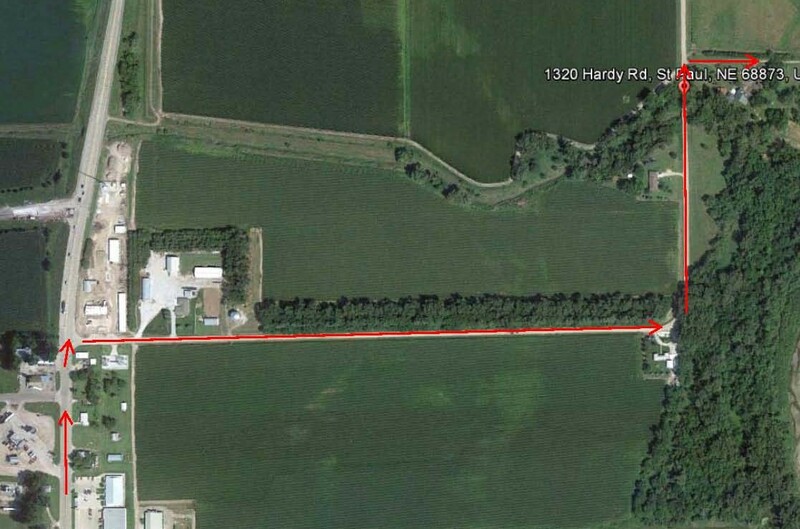 The 2nd Annual Mud & Fun Adventure Run sponsored by the St Paul Rotary Club will be held on July 12th, 2014 during the Grover Cleveland Alexander Days. Check back for further details as they are released. 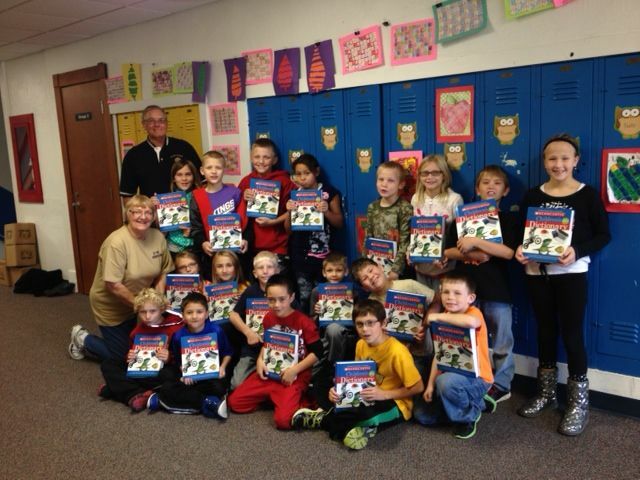 With the delivery of dictionaries to the 3rd grade students at area schools, the St Paul Rotary Club’s annual project of promoting literacyto surrounding communities is underway. 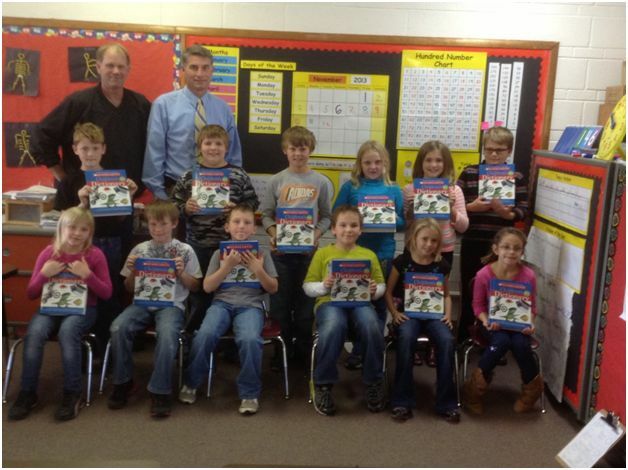 Before the project is finished, over 108 dictionaries will have been delivered to the 3rd grade students of the Elba, Loup City, Palmer, St Libory, and St Paul schools. 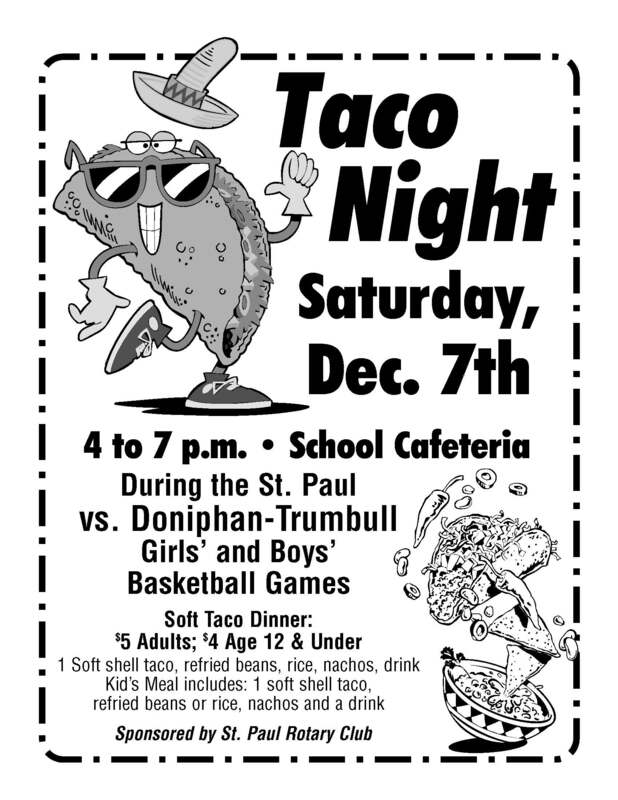 To fund the project, a Taco Night supper will be held on Saturday Dec. 7th at the School Cafeteria from 4 to 7:00 p.m. during the Girls and Boys basketball games against Doniphan-Trumbull.Mark your calendar to watch the Wildcats play basketball and to help with this project.